Anyone who knows me, knows two things are absolutely certain: I love to drink tequila (TBH any hard liquor) and I am in a long-term committed relationship with Taco Bell. You may laugh in your head, but do not be mistaken — this article is not intended to be funny. This is a serious proclamation of my love for the one and only, T-Bell. I will never forgive myself for not knowing the actual day our love affair first began. I know you and I were distant friends in my younger years, but I was never able to fully appreciate your beauty until I began college. To be honest, I really can't remember what my life was like before you. What fast food restaurant was my go-to? McDonald's? Gag. Burger King? Certainly not. Everything before you is a blur and irrelevant because now the future is crystal clear — you are the one. Although I’m not exactly sure when my love for you started, I know now my life will never be the same without you. And every other day. You are everything I could ever want in a significant other. You are kind, supportive and always open — call me clingy, I dare you. You are there for me when no one else is and you are there for me in ways that nobody else can be. 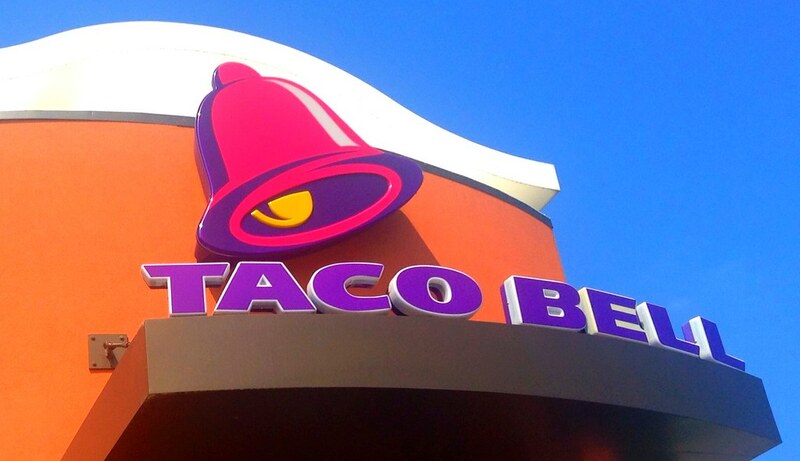 When I come down the street and see the large, beautiful, neon magenta bell, my hands start to sweat and my heart begins — I feel like running to you. This girl even got me Taco Bell as my Secret Santa gift this Christmas. If that isn't true friendship, I don't know what is. This below, my friends, is the face of pure happiness. I honestly aspire to live to be 110 years old one day, not just to live a long and happy life, but to get interviewed about the key to living such a life so I can respond by saying, "a healthy and consistent diet of Taco Bell." My parents may hate you for the constant late night charges on my debit card (sorry, mom and dad) and my friends may refer to you as Taco Hell, but I will always be your number one fan, no matter what the haters say. Our love story is only beginning and I know it will continue to grow and age like a fine wine. So, my dear love, I thank you for changing my college years because, simply, they would not be the same without you. Quite frankly, I don't know if my life will ever be the same without you. P.S. I think I found the love of my life while writing this. Taco Ben, if you're reading this, holla at your girl.